Japan has long been everyone’s favourite place to visit because of its wonderful culture and amazing Japanese food! However, besides the food and shopping, Tokyo also has many picture-worthy spots for you to take a breather and enjoy the view. 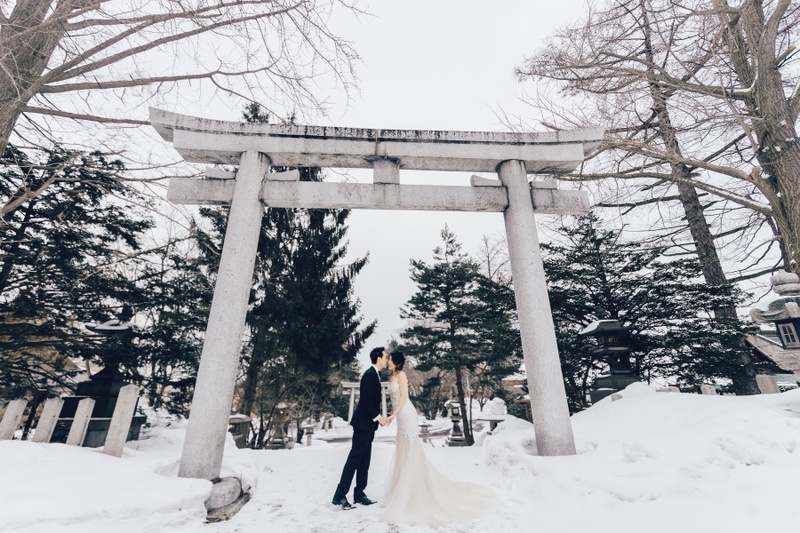 Here are our top 8 most-loved pre-wedding photoshoot spots around Tokyo where you can capture its rich cultural essence and also the natural scenery. The most iconic feature of Tokyo is definitely the Tokyo Tower and you can catch it in its full glory at Zojoji Park. You can stay till the evening when the tower is most beautiful when illuminated with a warm glow! Shinjuku Gyoen is arguably the most beautiful park in Tokyo with its expansive field where you can enjoy an afternoon picnic while fully immersing in the peaceful atmosphere. This park is beautiful across all seasons and especially so during the Sakura and winter season! The Tokyo station stands out with its unique Western architectural style amongst the metropolitan buildings that surrounds it. It is one of the most beautiful buildings you can find in the entire Tokyo city and it is best to visit in the evening so you can catch it’s beauty both in the day and at night! Like its name, walking down this narrow alley of traditional Japanese restaurants will bring you on a trip down Japan’s memory lane. This is quite a hidden gem as most people prefer walking around the modernised shopping areas at the Shinjuku district nearby! It is definitely an Instagram-worthy spot and you will get a true taste of olden Tokyo while basking in the local Japanese culture. Yoyogi park is located just across the Harajuku street so it is a great place to take a peaceful break after shopping around the busy area. The huge park consists of ponds, forested areas and beautiful lawns all in one place. The best time to visit is definitely during Autumn when the entire park is turned into a picture of stunning golden! Located in the middle of Zojoji Park, the Zojoji Temple is a total beauty. You can experience the Japanese’s main religion and its practices in this temple but remember to abide by their rules as a form of respect. Since it is located inside Zojoji Park, you will also be able to get a good view of the Tokyo Tower from the temple grounds! Roppongi hills is deemed a city in a city because this building complex has apartments, offices and restaurants all within its compound. Located right in the middle of it all is the observatory tower, where you can get a panoramic view of the entire Tokyo city. The view in the day and night is completely different but we definitely prefer the latter, when the city looks like a sky full of stars! Everyone knows of the renowned Shibuya Crossing where thousands of people pass through this crossing every single day. This is a must-visit spot for all tourists to experience the busiest intersection in the whole world. You can also visit the famous Hachiko statue just nearby! With a complete guide to the most picture-worthy sports to visit in Tokyo, it will be a waste to not go home with amazing pictures taken of you. 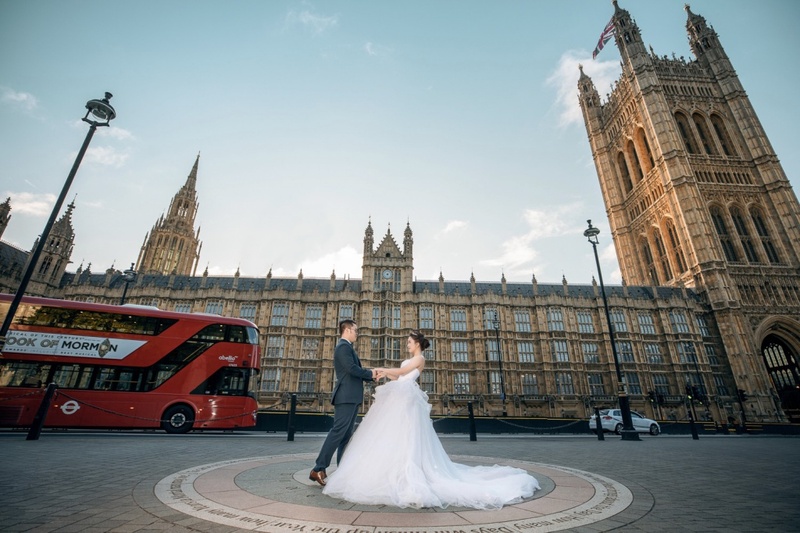 Whether you want a casual date snap or a pre-wedding photoshoot, OneThreeOneFour will take care of all your photography needs! 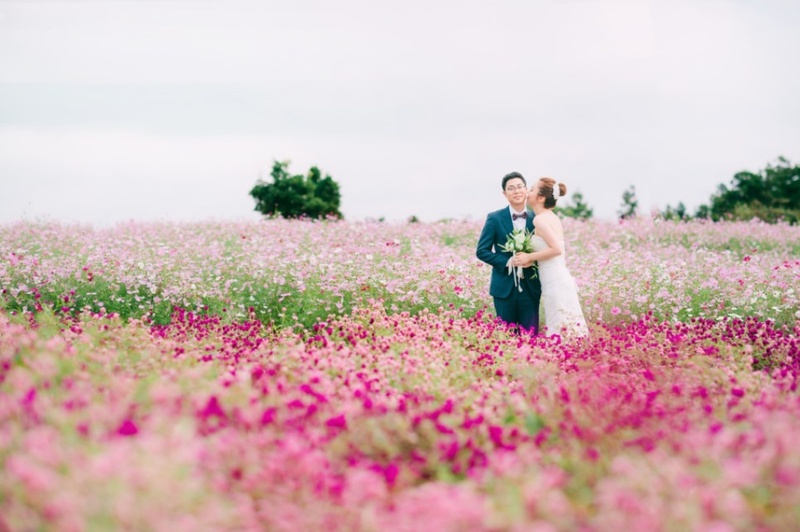 Check out our affordable engagement photoshoot packages in Tokyo!